The schools of instruction have all been completed and I am pleased that there was an increase in attendance in a majority of the meetings. I wanted to make these programs informational and educational and from the responses I received I think that I have accomplished that. 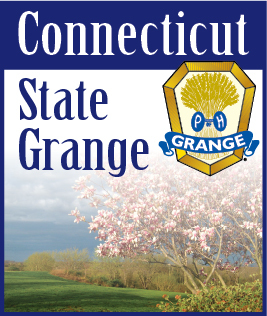 One message that I wanted to get across was the State Grange is going to continue its program of revitalizing Granges. We want to train more leaders so there will be several teams throughout the state to accomplish this. To this end we are looking for dedicated persons who want to see our Grange grow. At first we will train you with the teams we have established and if you progress we will then send you to one of the Grange Growth Summits put on by the National Grange. So if anyone is interested they can contact me or Jody Cameron, State Overseer. We are particularly in need of members from the western half of the state but will interview everyone that applies. During the next few months the Pomona Granges will be inspected and the Community Granges will be evaluated. There is no great change from last year's procedures but it is important that each Grange have the required material and reports ready for the deputy to examine. Particularly the questionnaire you receive and the Executive Committee Report. Now it's time to talk about membership and speaking of time there was a great article in last month's Granger. It was the membership tip of the month by Rusty Hunt, National Grange Membership/Leadership Director. I hope everyone read it and will read it at their Grange meeting. It's a very simple way of asking someone to join your Grange. I have always said "if you want new members in your Grange you have to talk to people". How you talk to potential members depends on your relations with them but the more you talk about the Grange the easier it will become and eventually you will be talking to strangers about your Grange. One way to gain experience at this is to be a Grange Ambassador at the New England Grange Building this year during the Big E. Remember that everyone is a part of our Granges' Membership Committees.